Every evening, I get my mail from the mailbox, and one third of it is ‘junk’ and goes straight to the trash can near the mailbox. Which makes me wonder. Why don’t we have recycle bins strategically placed next to our mailboxes? We as a country who teach our young the 3’R’s, so why doesn’t the government take a more pro-active role in promoting recycling? The bins need not be huge. In fact, I notice that a lot of residents often ‘litter’ in this ‘trough’ right below their mailboxes. It’s as if that box-like space is meant for that purpose. Are the papers there cleared for recycling? Or does town council designate it all as trash? Speaking of mail boxes, I couldn’t help but be drawn to this box labelled “Returned mail”. Is it not possible to create another box that you can actually post letters? 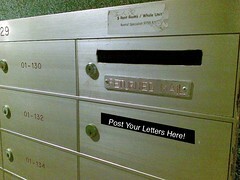 This way, it is more convenient and you would not need so many individual post boxes to be installed around Singapore. 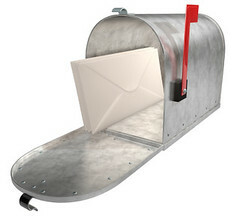 The postman who delivers your mail can conveniently pick up your outgoing mail too, along with those ‘returned mail’. This system is actually being practiced in the US, where even landed property mail boxes act as a letter box for ingoing and outgoing mail. that there is outgoing mail for the postman to collect. Semi-automate your finances and be rewarded with rebates/points! This entry was posted on Tuesday, March 17th, 2009 at 10:06 pm and is filed under Housing, Singapore Watch ver 2.0, Suggestions. You can follow any responses to this entry through the RSS 2.0 feed. You can leave a response, or trackback from your own site.